While living with a roommate can be an invaluable experience, everyone must pull their own weight. Anyone who has ever lived with a roommate probably has a horror story. Whether it was the college roommate who left dirty socks everywhere or the night-owl roommate who liked to work out at three in the morning, horror stories like these are not uncommon. So whether you are sharing a dorm room, living in your first apartment with a friend, or trying to split rent with a roommate you found online, there are some rules and etiquettes you should get to know before moving into your Harborside Village Apartment. When deciding to live with someone, you should first sit down and hatch out what your weekly routines are. The chances of you both coexisting if you are on opposite schedules is very low. If one of you has a nine to five job while the other works at a restaurant where they don’t get off until two, it may not be a good match. While it may seem perfect because you each have your own time in the apartment, it will get annoying tip-toeing around your apartment while your roommate is sleeping. When it comes to decorating the shared areas of your apartment, it is important to find things that fit both of your styles. Make sure you consult with your roommate before adding or making any changes like rearranging the furniture in the common areas of the apartment. 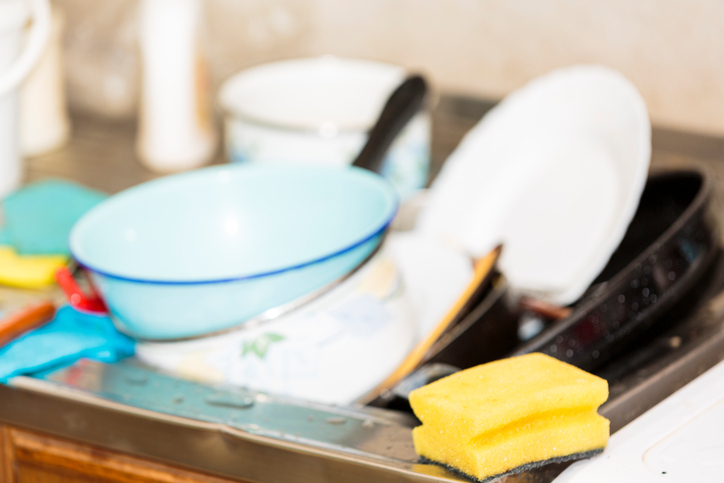 We all know doing your dishes directly after dinner is the best policy but that doesn’t mean it always works out that way. When you live with roommates, it is important to wash your dishes as soon as possible. If you despise doing dishes and would rather do another chore, talk to your roommate about trading dishes for something else. Trade on and off so no one does the same chores two weeks in a row and the dishes are always clean. While most people tend to be passive aggressive about things that bother them, it is important for you and your roommate to sit down and have these hard conversations like adults. Sit down at the table and talk about what is bothering you so they know you are upset. But always be respectful and you and your roommate will get along splendidly. This entry was posted on Friday, May 27th, 2016	at 1:28 pm	. Both comments and pings are currently closed.